Image credit: Whistle Post Brewing Co. Effective as of the end of May, Whistle Post Brewing Co. of Pilot Point has ceased production and is now closed. Founded by those behind Western Son Distillery, the brewery opened during the summer of 2016 in a building adjacent to the spirit maker. 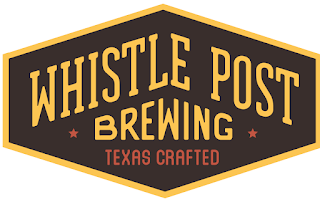 It remained a draft only business until early 2017, after which Whistle Post began distribution of Shoofly Texas Golden Ale and Rooster Shooter Texas Lager in bottles. Those beers, along with products like Lizard Scorcher IPA, Shoofly Coconut Lime Ale and others, maintained a focus on easy-drinking, low ABV offerings, with strengths hovering just above and below 5%. Labels: closings, Pilot Point, Whistle Post Brewing Co.